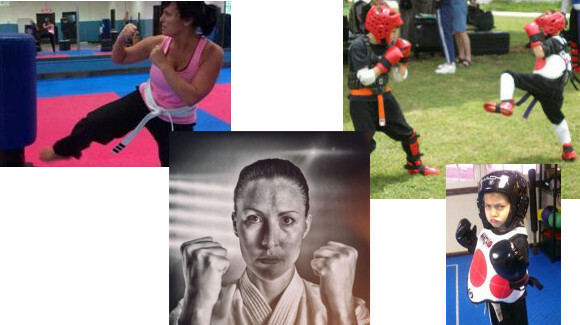 MORE INFO ABOUT BEGINNERS SPARRING CLASS. This is a sparring class for all ages, Yellow & Orange Belt. White belts with permission. Sparring is an opportunity for students to practice their techniques and reaction timing with a partner in a controlled manner. Sparring in karate for the beginner starts with pre-arranged combinations designed to teach the student control and accuracy, to free sparring where students are able to perform any number of combinations of attack and defense against their opponent. Students learn how to move properly when responding to an opponent by focusing on footwork, timing and techniques. They practice with focus mitts, striking shields and other training devices to develop precision and control over their techniques. Once basic skills are mastered, students also participate in sparring with protective equipment in a safe environment. Sparring at all levels is light contact where discipline and control are exercised at all times. Typical gear worn by students that participate in sparring include; certified headgear, padded gloves, foot pads, a mouthpiece, chest protector, and groin protector (often referred to as a cup). All sparring gear must be purchased through American Family Karate. Beginner students will not begin sparring immediately. They are required to earn their yellow belt before they can attend this class. When a student begins sparring with an opponent, he or she is taught the importance of controlling one’s punches and kicks, and basic sparring techniques. 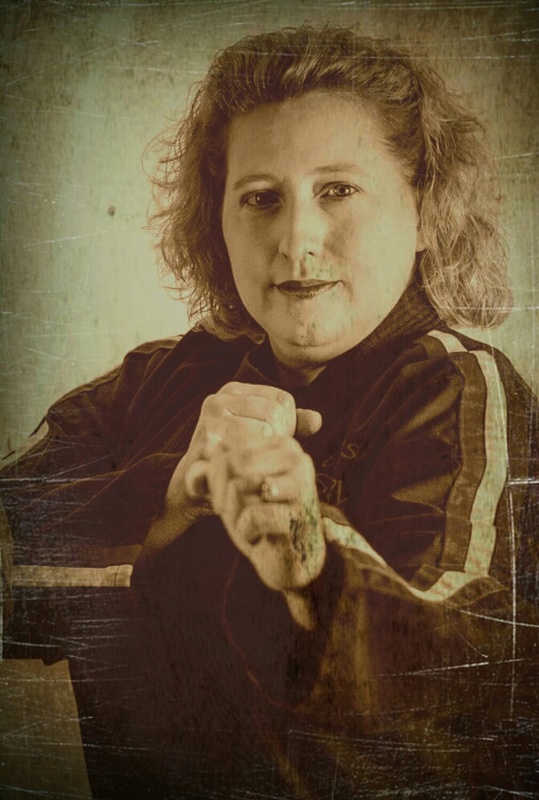 This is a key step in learning martial arts and for sparring, because students are supposed to “pull” their punches, meaning not to throw strikes at full strength – to prevent injuring sparring partners. 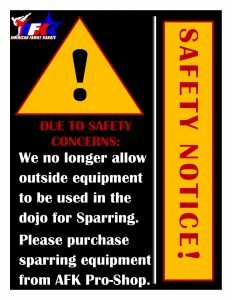 Students are allowed to borrow some school equipment, but they are expected to purchase their own equipment before they test for orange belt.